One can experience the power of Om through this Om chakra metal pendant. 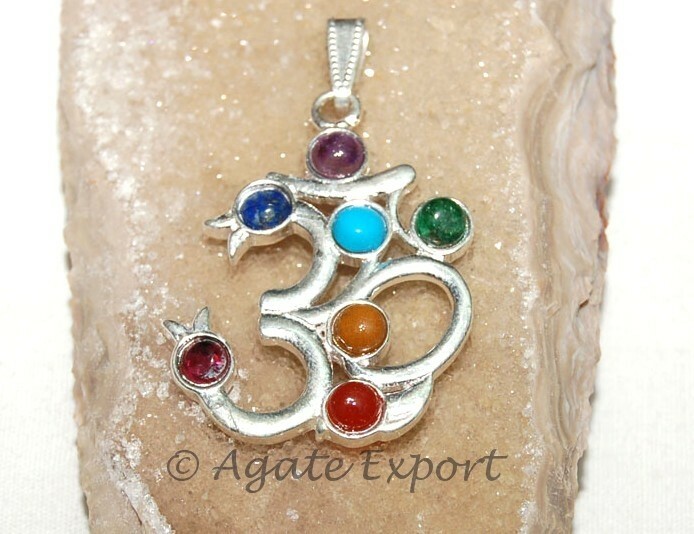 The seven chakra stones are beautifully laid out on symbol Om, a mantra used in prayers. This pendant will link physical body with spiritual energy. Each chakra stone relates to different body chakras. Buy this beautiful piece at a minimal rate.